In addition, OIGC supports an accomplished youth choir. Started in 1997, it was voted the Best Youth Gospel Choir in the 2007 Northern California Gospel Academy Awards. The group includes over two dozen members from diverse ethnic, religious, and cultural backgrounds. They perform at a wide variety of local and international events. The choir provides musical, educational, and social opportunities for Bay Area youth, as well as the chance for mentoring and scholarships. The latest arm of the OIGC family is the Community Choir, which was established in 2013. This choir is now almost 200 members strong. Despite being a non-auditioned choir, OICC features a great degree of talent and enthusiasm. It meets once a month and performs several times throughout the year, including their summer gospel concert. All three choirs perform at OIGC's Annual Holiday Concert at the Paramount Theatre, a spectacular event that is not to be missed! The Choir has also received awards and recognition from city, state, and federal agencies, the JCPenney Awards Program, and the Clorox Foundation Community Commitment Awards Program. 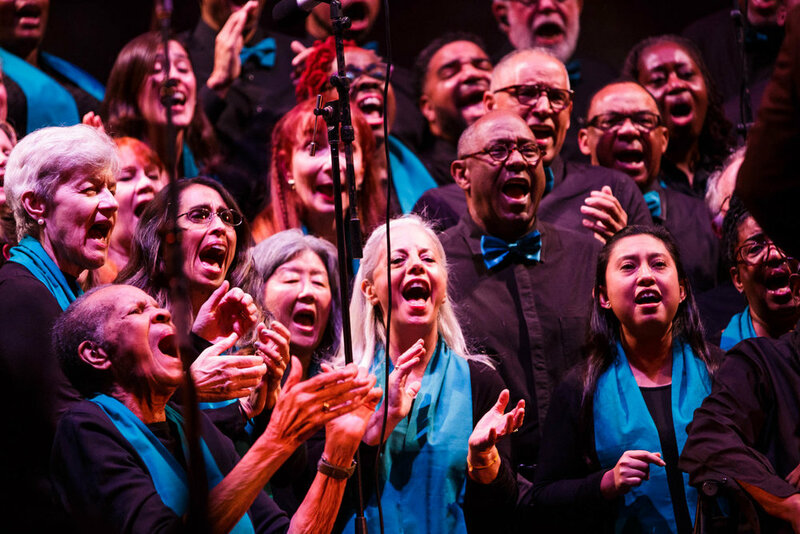 OUR MISSION: The mission of the Oakland Interfaith Gospel Choir is to inspire joy and unity among all people through black gospel and spiritual music traditions. OUR VISION: OIGC sees a world where all people, regardless of social biases, will tap into their own power of spirit and joy, be comfortable with each others’ differences, and celebrate those differences in harmony. Maren Amdal (pronounced MAH-ren) has more than 15 years of leadership, development, and management experience in non-profit and arts organizations, including roles with San Francisco Gay Men’s Chorus, and Calliope Women’s Chorus in Minneapolis, MN, among many others. Maren currently serves on several boards of directors, including Community Women’s Orchestra in Oakland, CA. As a consultant and facilitator, Maren brings extensive leadership skills and entrepreneurial success as well as strategic vision to her guidance of organizations in both the profit and nonprofit sectors. Terrance Kelly has garnered extensive musical credentials in both gospel and jazz music. His operatic range and joyous emotional feel for the music make him a popular soloist as well as an accomplished director, composer, and arranger. His credits include choral arrangements on albums by Linda Ronstadt and the Kronos Quartet and gospel arrangements of popular music for TV and video soundtracks. In addition, he wrote or arranged most of the music for each of the choir’s albums. Mr. Kelly received an Emmy Award for his choral arrangement of OIGC’s KGO-TV public service announcement. 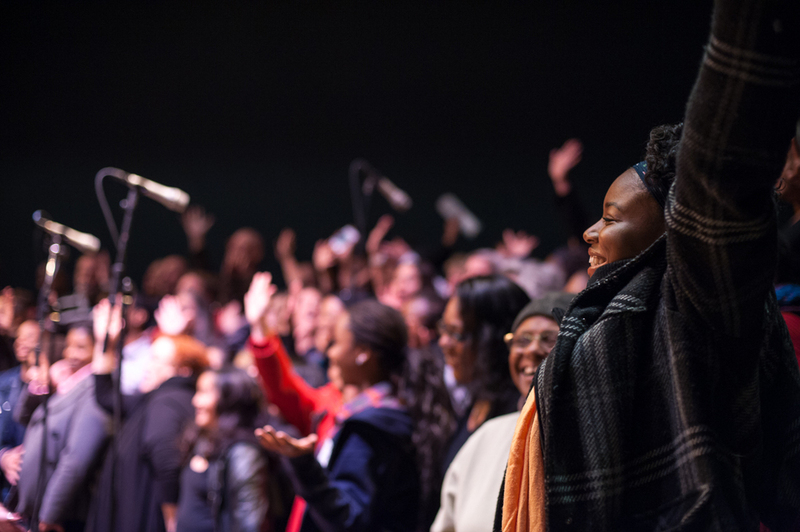 OIGC's community service projects deliver musical experiences to institutionalized and underserved audiences; serve the general public with free admission events; benefit schools and fellow nonprofits; and present the Biennial Gospel Music Workshop and Annual Free Musical.